We provide quality tree pruning with meticulous cleanup to customers in Lake Norman. Tree pruning is a job that some homeowners try to tackle themselves, but it may be best left to the professionals. Different types of trees and shrubs require tree pruning at different times of the year for best results. If you are inexperienced, it can also be challenging to know which branches are the right ones to remove to protect the strength and health of your trees. Early spring is the best time to prune broadleaved evergreens and boxwoods. It is also a good time to prune some shrubs and trees that flower in the summer. In late spring or summer, we will prune your shrubs that have finished flowering in the spring. We do not recommend pruning in the fall because it increases the likelihood that fungus will spread. Winter is a good time to prune deciduous trees and evergreen trees. Because the trees are dormant during this time, the spread of insects and diseases is minimized. 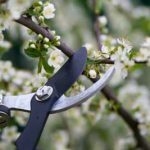 If there are obviously dead branches or light pruning that is needed, the timing of this work is less critical to the health of the tree or shrub. It is easier to identify dead branches in the summer because they are surrounded by branches with leaves. Here at Top Notch Tree Service, we can meet all your tree pruning needs at your home or business in Lake Norman, North Carolina. We can also provide free estimates, so give us a call today to find out more about tree pruning or any of our other tree services.